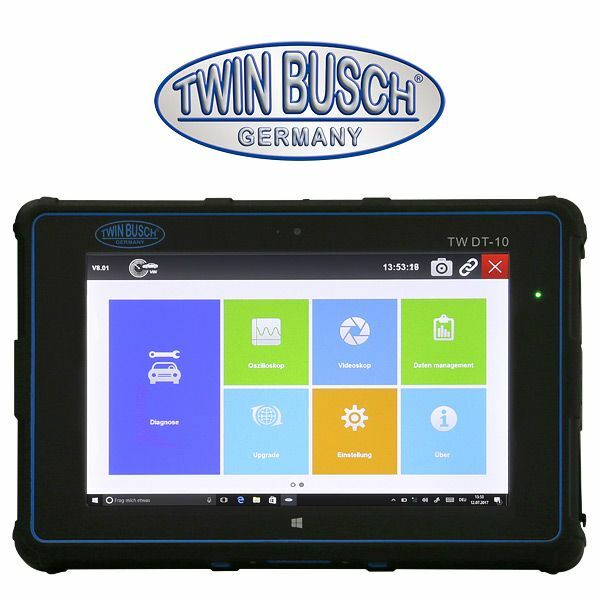 The mobile vehicle diagnostic tester TW DT-10 with menu navigation in English, French, German, Spanish and other languages. 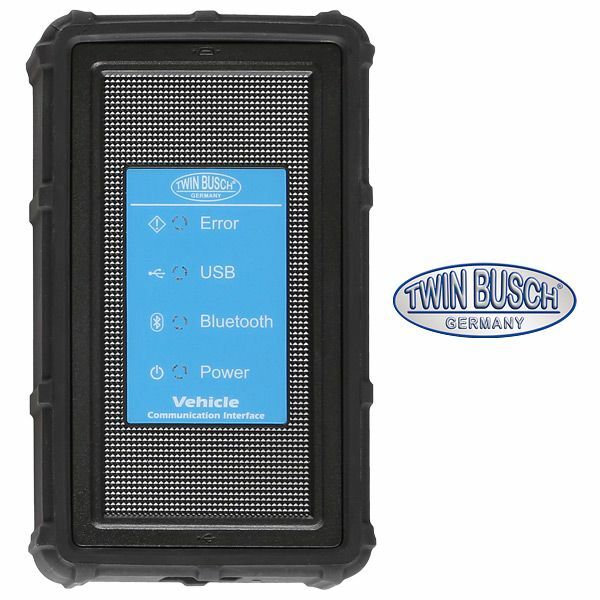 The TW DT-10 supports functions and protocols of OBD II diagnostics. 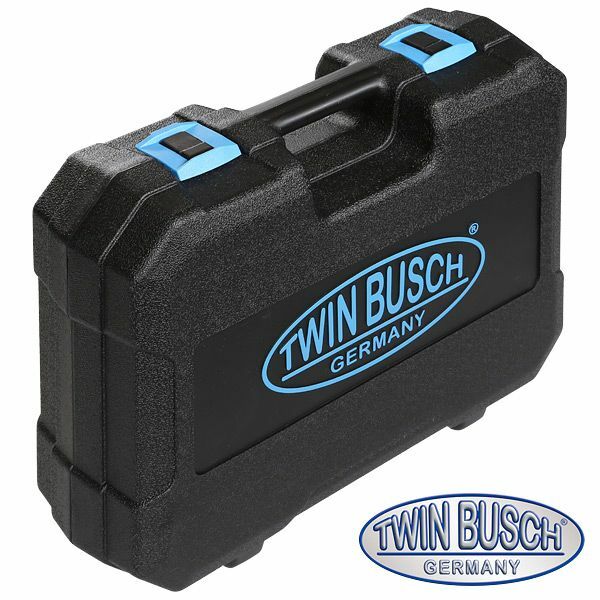 This supports sensor diagnostics, electrical diagnostics, actuator diagnostics, component and system diagnostics. (The functions are vehicle model dependent). The comfortable color touch screen guarantees intuitive operation. With the diagnostic box, you send the data read directly to the main unit via Bluetooth, which guarantees absolute freedom of movement. With the print function via USB or W-LAN these can be printed out directly (for example, as proof for your customers), or further processed by the existing interfaces (printer not included). A powerful lithium battery ensures mobile use and flexible operation. The performance of the installed Intel® Atom CPU ™ is 1.33 GHz, menu navigation in German (error codes in German and English). Simple updates via the online update tool at purchase 3 years included. 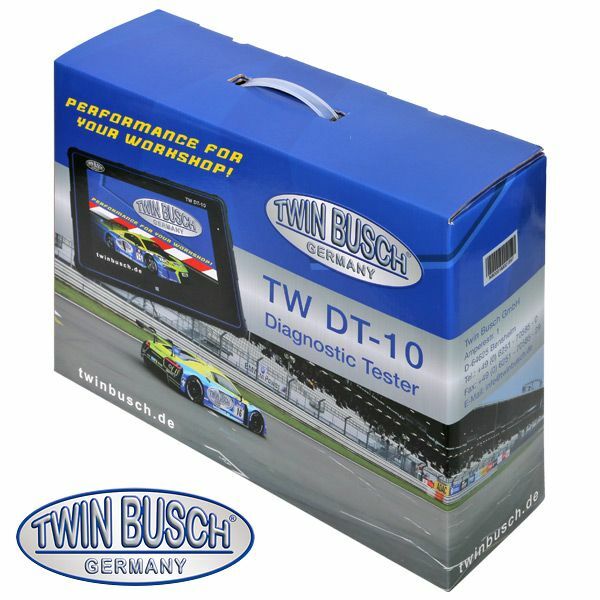 Increase the efficiency of your car workshop with the TWIN BUSCH DT-10 Diagnostic Tester. 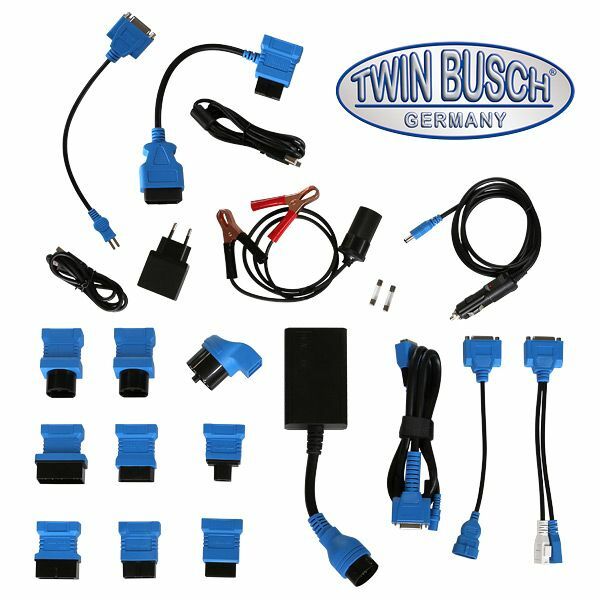 For most vehicle manufacturers, such as Audi, Mercedes-Benz, BMW, Citroën, Ford, Fiat, Jaguar, Land Rover, Mini, Opel, Peugeot, Renault, Alfa Romeo, Seat, Skoda, MB Transporter, Volvo, VW, Bentley, Porsche, Saab, Honda, Hyundai, Infiniti, Isuzu, Kia, Lexus, Mazda, Mitsubishi, Nissan, Ssanhyong, Subaru, Suzuki, Toyota, Chrysler, GM and more.